The 928 S4 and newer engines have two separate ignition circuits. Ignition circuit 1 is comprised of cylinders 1,4,6,7, the right side coil and distributor. Ignition circuit 2 is comprised of cylinders 2,3,5,8, the left side coil and distributor. If there is a failure in one of the ignition circuits, raw fuel is pumped out of the cylinders and into the exhaust system. When the raw fuel hits the hot catalytic converters a fire may occur – OUCH! From model year 1989 onwards, Porsche added the Ignition Circuit Monitoring Relay as a safety feature. 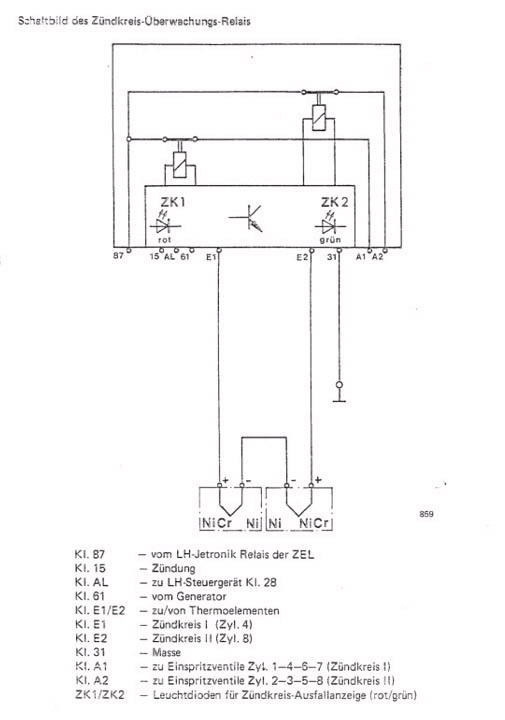 This circuit is completely independent of the LH injection system. It is identified in the workshop manual wiring diagram as the Ignition Control Circuit. The function of the system is to turn off the fuel injection to the failing ignition circuit. 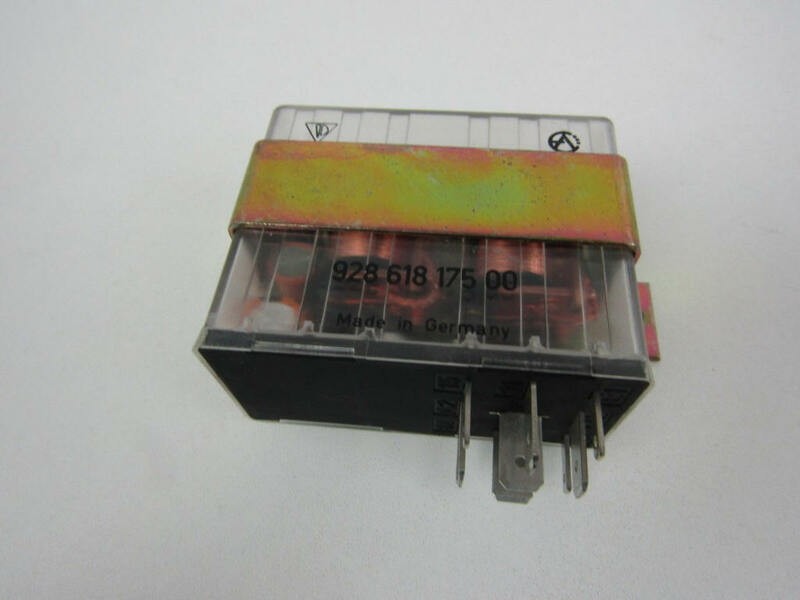 The inputs to the relay are two exhaust temperature sensors that provide input to the relay. If one of the ignition circuits fails, the “Ignition Circuit Monitoring Relay” shuts off the pulse signal to all of the fuel injectors of the affected circuit. As you might imagine, the symptoms of a shut down ignition circuit are a significant reduction in power and a rough running engine. 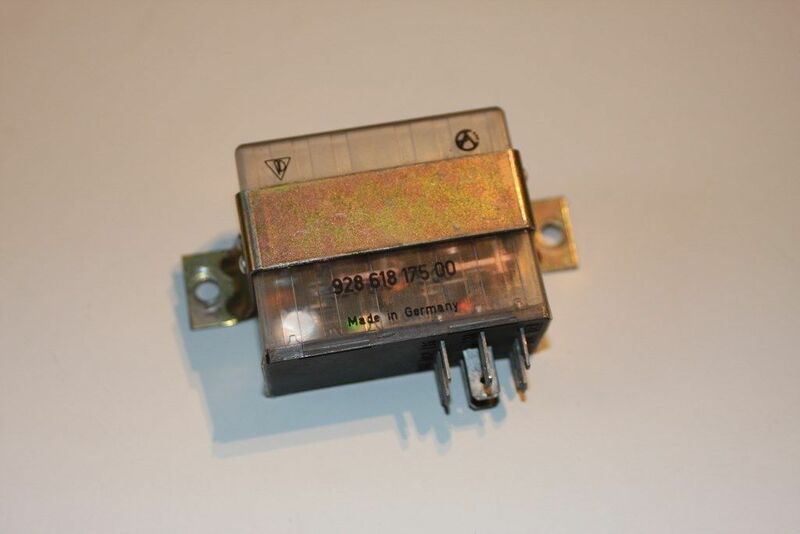 For trouble shooting, you need to determine if the shut-down is due to a failed ignition circuit or a failure of the Ignition Circuit Monitoring Relay itself. The first step is to quickly identify which circuit is affected. Look at the clear relay module that is fitted next to the EZK spark control unit in the passenger compartment. When ignition circuit 1 (cylinders 1,4,6,7) is shut-down, a red LED is illuminated. When ignition circuit 2 (cylinders 2,3,5,8) is shut-down, a green LED is illuminated. 2. Ground must be present at terminal AL when the ignition switch is in the off position. 3. Battery voltage must be present at terminals A1, A2, 15 and 87 when the ignition is in the on position. 4. Battery voltage must be present at terminals AL and 61 when the engine is running. 5. A Voltage value of approximately 2.7 V must be present at both terminals E1 and E2 when the ignition is in the on position. 6. The resistance between E1 and E1 is approximately 5 – 10 Ohms (measured at the disconnected relay socket). The temperature sensors that fit in the exhaust system should also be inspected. A more detailed explanation is provided in the factory workshop manuals. Since the four cylinders still draw in air after switching off the injection circuit, the oxygen sensor would recognize excessive air and regulate the air/fuel mixture of the perfect condition cylinders in rich direction. Oxygen sensor control is switched off together with switching off the ignition circuit, in order to prevent this. Terminal 15 of the relay has voltage via CEL when turning on the ignition. Terminal AL of the relay (this wire leads to LH control unit term. 28) has ground with “ignition on”. With “ignition on” the LH control unit will be coded for operation without catalytic converter via term. 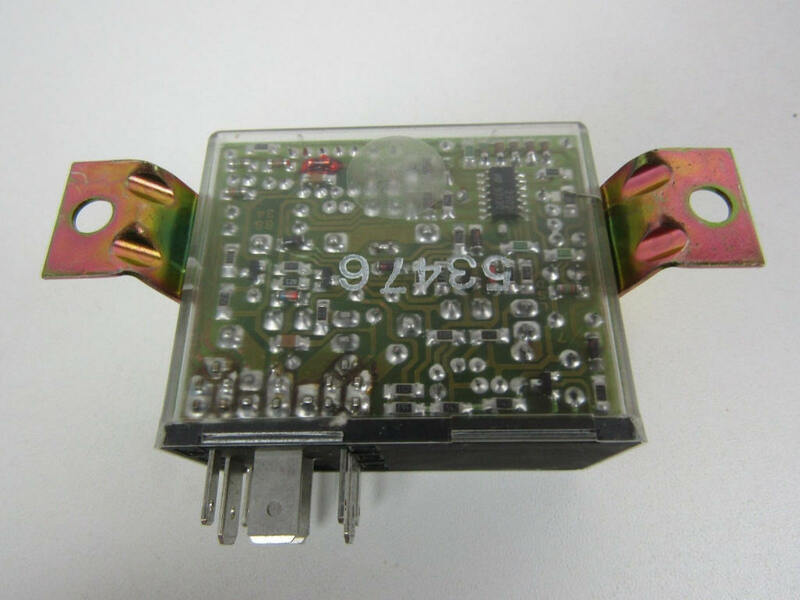 AL of the relay, since the coding, whether with or without catalytic converter, for the LH control unit is accomplished via positive or ground on term. 28 of the LH control unit. If the engine is started and term. 61 of the relay has alternator voltage, voltage is supplied to term. AL and the LH control unit is therefore coded for operation “with catalytic converter”. If an ignition circuit would now fail and the pertinent relay contact opens. Ground would be applied on term. AL and the LH control unit switches over to operation “without catalytic converter”. 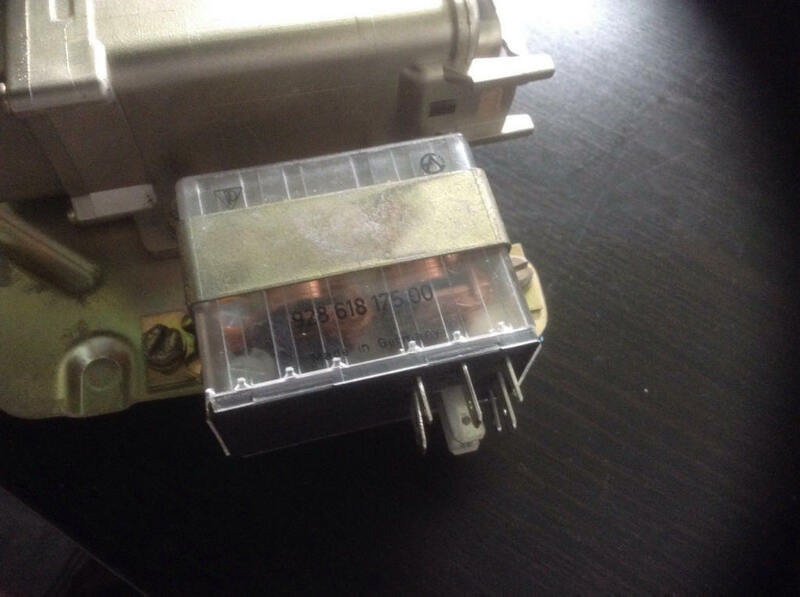 Since, however, in cars without catalytic converter idle speed CO level adjustments are made via a potentiometer and this potentiometer on the other hand is not installed in cars with catalytic converter (adaptive oxygen sensor control), a 150 ohm resistor integrated in the coding plug of the LH or EZK control unit sends a fixed value (replacement value) to the LH control unit for guarantee of engine idling when the ignition circuit monitoring relay switches and therefore oxygen sensor control is switched over to control without oxygen sensor. The relay is inoperative for about 18 seconds after each engine start, in order to prevent unwanted switching of the ignition circuit monitoring relay due to non-uniform cooling of a stopped engine There must also be a difference in voltage of > 6 mV on connections El and E2 for at least 2.5 seconds before activation of the relay. 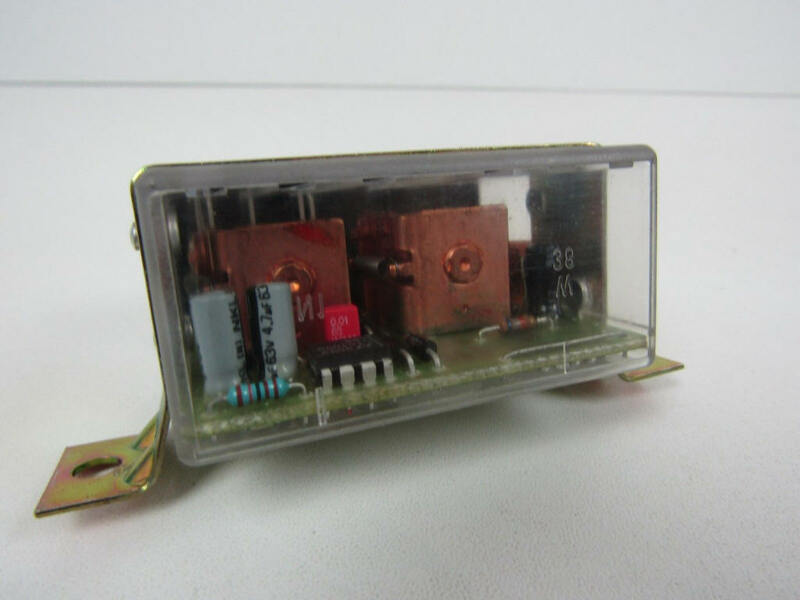 Great differences in voltage on connections El and E2 are recognized as faults on the thermo elements or their power supplying leads by a circuit integrated in the ignition circuit monitoring relay. This always causes switching off of fuel injection circuit for ignition circuit II and activation of the green light emitting diode. Resistance can be measured on connections El and E2 of a disconnected relay plug with an ohmmeter to check the thermo elements and power supplying leads. Approx. 5 to 10 ohms between El and E2 for perfect condition thermo elements and leads. Ohmmeter displays open (-ohms) in case of a fault. unburned fuel possibly are getting into the exhausts, which means it could enter the cats, causing expensive damage. In such a situation it then shuts off that bank (by cutting fuel). This is what I have believed. However, Wally Plumley stated that the system does not work this way. The ignition monitoring relay actually shuts off four cylinders, but based on which ignition circuit they are in. This makes sense, since they LEDs of the monitoring relay are connected to which ignition circuit is bad. But this means that you will not know where the problem is, if you just monitor exhaust temps, since both ignition circuits contribute to both exhaust sensors. So. How do this work? Will the ignition monitoring relay shut down four cylinders (two in each bank), or shut down one whole bank? One sensor picks up from one side indicating the 3 temp and the other on the 7 cylinder. It responds if one is low temp compared to the other one. This results in activating of the relay and shutting down one set of injectors. The injectors are wired identical to the ignition, so not 1234 and 5678 but 1467 and 2358. So shutting down fuel supply to one set is matched to failure of that ignition circuit. In the 89 and 90 models, the sensor was at the 4 and 8 cylinder, but this changed in 1991 to the 3 and 7 cylinder. Yes, the other cylinders also contribute but apparently not so much that it is not able to tell which is failing (less heat). It seems that Porsche changed their mind in 1991, maybe because of unjustified activation. Not sure, just guessing. IMR -> Green LED = Driver side problems, Red LED = Passenger side problems. 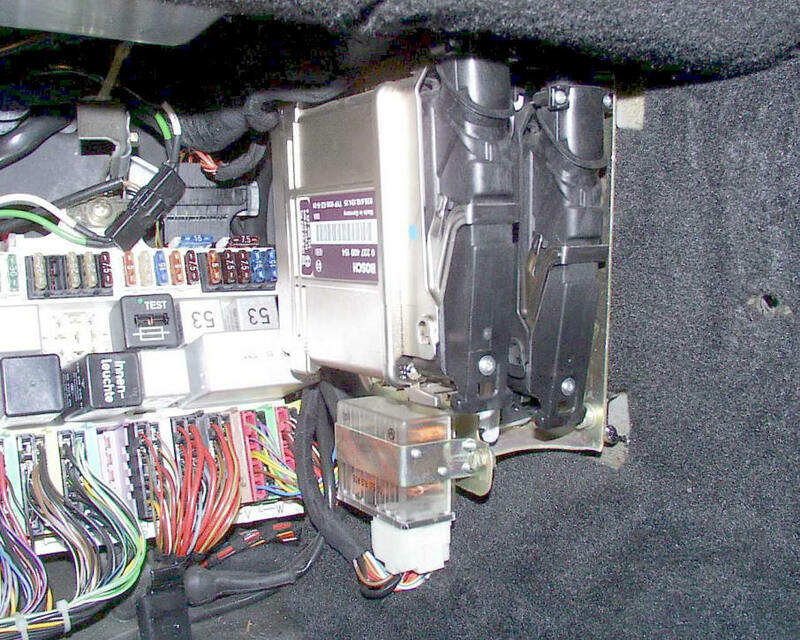 The late 928s have two virtually independent ignition systems. There were sufficient cases of failure of one of these ignition systems, followed by overheated cats leading to serious fires, to convince Porsche that Something Had To Be Done. That Something was the Ignition Monitoring System. The exhaust temp sensors of that system measure the EGTs of two cylinders - one on each ignition system. If the EGTs of the two cylinders become different enough, the Ignition Monitoring System relay kills the fuel injectors feeding the four cylinders fired by the ignition system including the cylinder with the cold exhaust. The key is that the Ignition Monitoring System monitors the EGTs (Exhaust Gas Temperatures) of two individual cylinders, not the EGTs of the left and right banks. The fuel injectors were divided into two sets of four, matching the arrangement of the ignition systems. All injectors still batch fire at once, but they are fired by two different sets of wires contained in the single injection harness.